If you’re in a panic because you waited too long to make your annual homemade Halloween costume, don’t be scared stiff just yet. I am here to help you. You may be just as notorious of a procrastinator as I am, or this may have been the year where you put your energy towards your kids or grandkids’ DIY Halloween costumes and forgot to focus on yourself. We can get through this together! 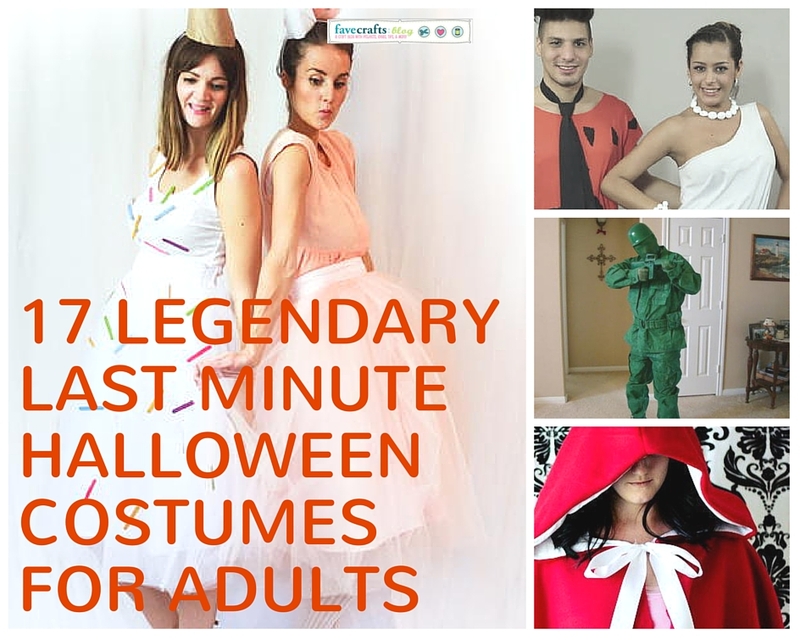 With these amazing last minute costume ideas for adults, you’re sure to find something up your alley. There are all sorts of creative and fabulous Halloween costume ideas here to choose from. Whether you have a weekend till your costume deadline or literally five minutes, you’re sure to find something to suit your needs! 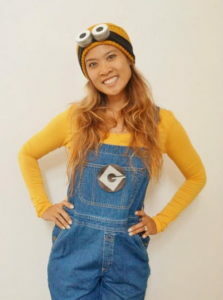 Adult DIY Minion Costume -pictured! Flashy DIY Flamingo Costume – great for people obsessed with pink and/or flamingos. Here are some creative Halloween costumes for men you’ll want to try out. Shiver Me Timbers Pirate – argh! Deviled Egg Costume – this one is very punny. 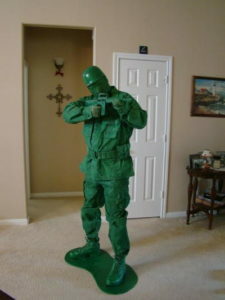 Toy Army Man DIY Halloween Costume – pictured! You’re bound to find a great idea among these crafty couple costume ideas and group costume ideas. 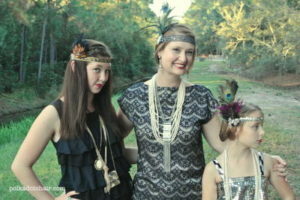 Flapper DIY Halloween Costumes -pictured! Recycled LEGO DIY Halloween Costume Idea – everyone will love this one. Sweet and Sugary DIY Halloween Costumes – this one is such a precious idea! These easy Halloween costumes for adults are slightly more involved, but can still be accomplished in a weekend. Red Riding Hood Cape Pattern – a super elegant sewing project! 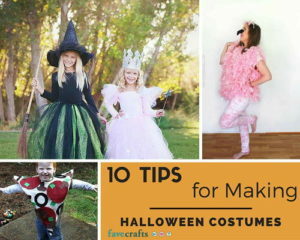 Don’t forget to check out more ideas for DIY Halloween costumes in 10 Tips for Making Halloween Costumes. What’s the best Halloween costume you’ve come up with quickly? In lieu of the newest installment of the Jurassic Park series, your kids (and most likely you) are jumping up and down in excitement for the improved CGI graphics. As you should be! It’s been a long haul since the first movie came out. Universal Studios still has a portion of their theme-park dedicated to the incredible water ride where a T-Rex ends up eating you; when in reality you feel like you fall to your death, finally being soaking wet. I wonder what they will do to the park with the “Raptor Squad” being a thing with Christ Pratt on his motorcycle. Anyway, I’m sure your child is wanting to go see the movie. At your own discretion, parents, by all means go see the movie. But you don’t want your kid to just go in a t-shirt. No, they need an awesome, easy kid’s costume or dino craft to prepare themselves for an incredible movie. Honestly, I haven’t even seen the movie yet. Though from the record-breaking box office money made the first weekend alone, I feel like my chances of it being really good are, well, really good. I will also admit that it is not until very recently that I saw the first movie in its entirety. Oh, I know. It’s been on TV for forever and a day, but I never had any interest in seeing it. No, I haven’t seen the other two movies in the series, but I have been advised not to do so. I was told by a little pterodactyl that they were the equivalent to how good Jaws 2 and Jaws 3-D are. To each their own. This dino tail is a cute way to get creative with different patterns for “scales.” If you’re looking for an educational standpoint, teach them about reptiles, amphibians, and fish that have scales. This homemade dinosaur craft is the same as above, only it doesn’t have spots. 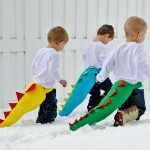 So if your child wants just a plain tail, here is a tutorial that will go straight to those steps. 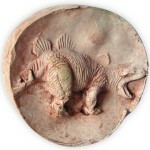 You can make these easy plaster crafts of dinosaur toys and have them be “fossils.” Hide them in a sand box, sensory table, or a box of dirt so your child can “dig up” their own fossils. 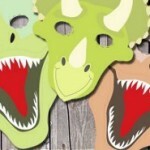 If you don’t want to get your hands dirty, then you’ll love these free printable dinosaur masks. Your child still gets some fun play time out of them and you don’t have a mess to clean up! 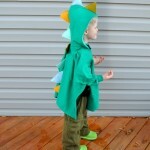 I know it says “dragon,” but this easy kid’s costume looks just like a dinosaur’s spiky spine. My movie theater is always cold—I believe that all movie theaters are programed that way because it somehow makes you buy more warm popcorn. Anyways, this modified hoodie will be your lifesaver for when your child gets cold. We want to know: are you for the original Jurassic Park or do you like the new Jurassic World better? Every day, Halloween just gets closer and closer, which means less time for all of you crafters to work on your homemade costumes. They’re time consuming, and the materials can be costly. You don’t have to panic, because the editors at FaveCrafts have been busy for months finding the most creative Halloween crafts that won’t break the bank. 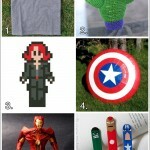 We’d like to show you some of our favorite Halloween costumes that are as inexpensive as they are amazing. 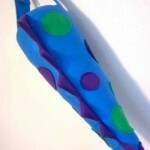 $5 No-Sew Candy Costume– Your little one will look so sweet in this colorful candy costume. It’s big, but gives your child freedom to move around, and the design is easy to follow so you can change the color scheme to represent your child’s favorite candy. This is a big hit with little girls, and it barely costs you anything! For all of you non-sewers, this is perfect for you! Cute Popcorn Costume – If you really want to show off how creative you can be with your Halloween costumes, transform a family member into a delicious bag of popcorn. The colors are bright and eye-catching, and the design is totally original, but also comfortable. This goes to show that you don’t need to spend months stressing about an original look; this will be done in no time at all. Eyeball Halloween Costume and Bag – For a crazy result that your kids will love, try using Tie-Dye. 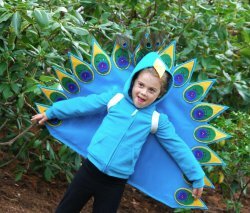 This project is a lot of fun to do with the whole family, and it encourages kids to take an active role in creating their own Halloween costumes. 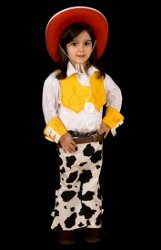 Best of all, the design can be as wacky and weird as your little one wants; instead of just picking out a pre-made costume, they get to express more of their creative ideas. Shiver Me Timbers Pirate – Pirates have only gotten more popular as the years go on, so you’re going to need to get ahead of the game with your costume. This design can be used for pirates of all ages, and has easy steps to follow. Your family can become its own gang of swashbucklers with some of your own custom details too. 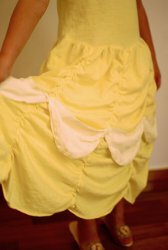 Crafty Pumpkin Costume – Working with fabric doesn’t have to be expensive or messy; this project is quick and free of hassle. The materials are very easy to find, and putting them together is just as simple. You could create this type of project for a family member of any age. 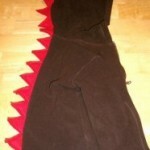 Retro Robot Costume – Here’s one craft about technology that’s easy for anyone to do. If you’re looking to make green, environmentally conscious costumes, you’ll love this design. Using a few objects from around the house and recyclable materials, you can put together a detailed-looking project with a sense of humor. The lights and candy slot make this a fun, interactive costume for your little trick-or-treater and the people they visit. 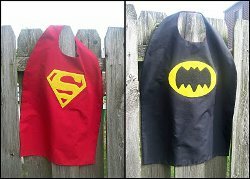 If this post got you excited to for more Halloween costumes for less, check out our site. Also, if you haven’t already heard about our exciting new pumpkin contest, click here for the details! What’s your favorite homemade Halloween costume? This guest post was written by Kira from Tip Hero. Halloween is right around the corner. Are you ready for it? Halloween is a great holiday for both adults and kids, but it’s definitely a holiday that requires decorations and such to get you into the spirit. 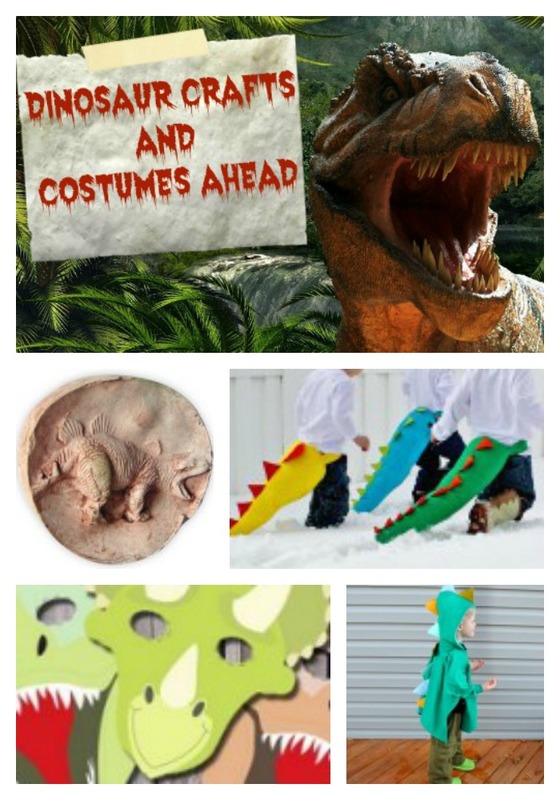 Before you start panicking about how much your kid’s costume is going to cost this year or how you’re going to make your house the spookiest one on the block, check out some fabulously frugal ideas from around the web to help you get started! Pumpkin Carving Templates: carving pumpkins is one of the best things to do in the fall and they make for great decorations for trick or treaters to enjoy when they come around. Here are some creative ideas for easily carving out-of-the-ordinary pumpkins. Decorate a Pumpkin: not into carving? That’s alright. There are many more festive ways to “bling out” your pumpkin. Check out some of these ideas. Halloween Shadow Boxes: use any boxes you have lying around to create a creepy-themed decorative box. Ghost Crafts: Family Crafts shows you how to make ghosts out of plastic grocery bags, dancing yard ghosts out of old sheets, and more. Hanging Glitter Spiders: make these out of materials you (mostly) already have and hang them inside or outside. Treat Bags: this is just one idea, but you can make any boring old paper bag into a decorative one that’s great for holding Halloween treats. Before we get to some actual costume ideas, let’s first talk about how to actually get your costume. A ready-made costume from a Halloween outlet is likely to cost you a pretty penny, and odds are you’re not going to be winning creativity contests with those. Here are some of my best ideas for creating a killer costume on the cheap. Mix and match until you’ve got a look that gets you in the spirit! Host a Costume Swap Party: with a few weeks left to go before Halloween, you could definitely save some money (and save others money) by hosting a costume swap in the next week or so. More likely than not, other kids around the same age as yours have great costumes that they’ve already worn that won’t get any further use. And on the flip side, what use do you plan on getting out of your child’s old costumes from Halloweens past? Utilize Face Paint: face paint can be super cheap at any party supply or craft store, and you can create really cool designs pretty easily. 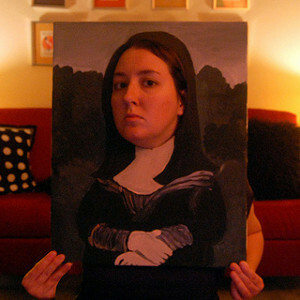 If you can paint something elaborate on a face, you won’t need much actual “costume” to make for a cool Halloween look. DIY Halloween Masks: like face paint, a mask is a gret way to create a killer Halloween costume without much material. Woman’s Day shows you how to easily make owl, flower, and peacock masks, among others, but use your own creativity to make something that works for you or your kids. Use Items You Already Have: before you go out in search of the perfect costume, take stock of what you already have available in your own home. Often times, costumes that you can create out of recycled materials are a lot more imaginative and interesting than those that come pre-packaged. Hit Up Your Local Thrift Store: a consignment or thrift store is a perfect place to shop for Halloween costumes or pieces you need to complete your look. It’s so much fun to make your own Halloween costume! While you’re at it, check out these ideas for the kids too. These DIY costumes are so much cuter, more detailed, and frankly, better quality, than anything you could buy at the store. Our Office Dog is Famous! Maybe I should start at the beginning. A month or so ago Simone, who is our Social Media Guru, whipped up an amazing Harry Potter costume for her pup, complete with Gryffindor cape, striped tie and even Harry’s iconic black-rimmed glasses. She then graciously typed up the instructions and shared them with us all. Yes, that’s our Harry “Pawter” on the left and Martha’s face right next to him on the right. We’d call that famous! As if that wasn’t enough, Simone’s pup has since been featured by our friends over at Craftzine. Before you know it, he’ll be gracing the cover of Vogue! We love that people love our doggie Harry Potter costume so much. If it was up to us, there would be a whole army of Harry Potter pets parading around on October 31st! For anyone who wants to make a Harry Potter dog costume of their own, just head on over to Simone’s tutorial and she’ll walk you through it step by step. We’re curious: What’s the funniest pet Halloween costume you’ve seen? 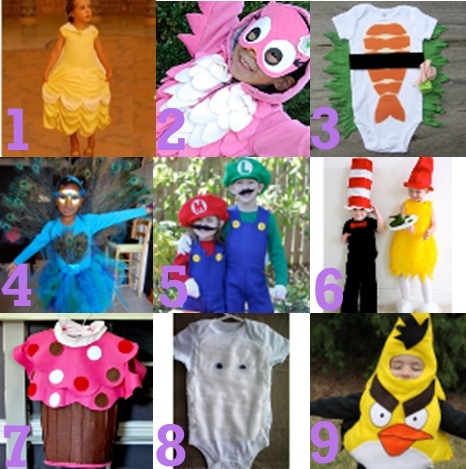 91 Days Until Halloween: Time for Costume Ideas! Today I flipped my calendar page and suddenly it hit me: It’s August. The year is more than half over, kids are heading back to school in a matter of days, the days are getting shorter not longer… and the most important sign that Summer’s almost over? Seeing those “Christmas in July” mailings show up in my inbox. You know it’s almost Fall once Christmas is on the radar again! Personally, I’m much more excited about Halloween than Christmas. And lucky for me, it’s coming up fast! My absolute favorite part of Halloween is seeing all of the creative costumes people come up with. Last year some of my favorites were, in no particular order: A giant Tiffany’s box, Lady Gaga, the Energizer Bunny, Flo from the Progressive commercials and Hawaiian Punch (okay, that was my costume, but I loved it!). While I love going to Halloween parties and seeing all of my friends’ clever costumes, it’s even more fun sitting on my porch on Halloween eve watching all of the little trick or treaters parade down the sidewalk in their adorable outfits. There’s nothing cuter than a little kid in an animal costume or dressed up as their favorite cartoon character. And have you ever seen anything quite as adorable as this baby dressed as a sushi roll?!! With so many costumes out there, sometimes it’s hard to narrow the choices down. That’s why we’ve gathered 15 of the best Halloween costumes from all over the Web and put them all in one place for your browsing pleasure. As well as character costumes from hit movies, like this Toy Story costume and this Flintstones costume. 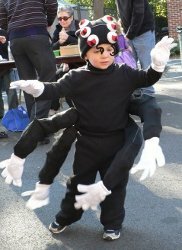 There are also options for kids who want to dress as their favorite creature, including a colorful peacock costume and a creepy crawly spider, complete with wiggly legs! I don’t want to spoil all the costume fun, so make sure you head on over to the costume collection page and see what else is there! Now that Summer is winding down, why not go full-steam ahead towards Fall and get an early start on your kids’ Halloween costumes? You can thank us later when everyone else is scrambling to think of ideas and your costumes are already sewn and ready to go! Now tell us: What’s the best homemade Halloween costume you’ve ever seen? Yes, it’s no longer Halloween and you are probably no longer interested in Halloween crafts, but I just had to share the Halloween costume I made on Saturday. I spotted this owl costume at Alpha Mom by Ellen Baker. Sure, the costume was designed for kids, but who cares?? 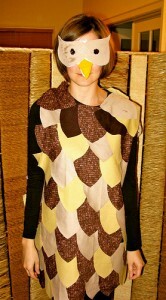 I love owls and I needed a costume for a party that night! The project was relatively easy, but still crafty and fun. You could make this costume for dress-up for your kids or save for next Halloween. Great idea Ellen! I swung by the local fabric store and picked up some fabric remnants to make the feathers. The mask is cardstock with fabric glued to the front, taped onto my sunglasses. Ellen’s project provides a template for the feathers and mask, but I was able to make both without the template. Since I do not own a sewing machine (not yet anyway, I am shopping for one), I used permanent fabric glue to affix the feathers. A sewing machine would make this project even easier. Fun times! Halloween is so popular it’s the one time for all to dress up differently than they ever would on any given day. Halloween is the one excuse for girls to dress in something scandalous, while boys dress up in something gory. This year celebrities have been expected to be the hottest costume. We had a great costume come in to us from Jillian Lanier of thrills. If you watch the show Brooke Knows Best on VH1 then you know her famous father “Hulk Hogan” and the famous word brother that he says at the end of each sentence. Jillian provided FaveCrafts with a Hulk Hogan costume. This is such a cute costume that would look great on any woman. 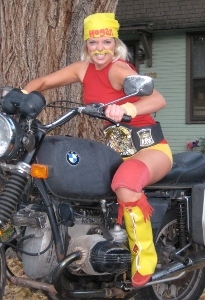 A blond wig, some wrist bands, boots and a wrestling belt help pull the costume all together. Be a celeb this year and create your own Hulk costume. Be sure you check out the rest of our costumes as well. Happy Halloween!